Take a cue from this lazy mom and embrace the lazy craft. 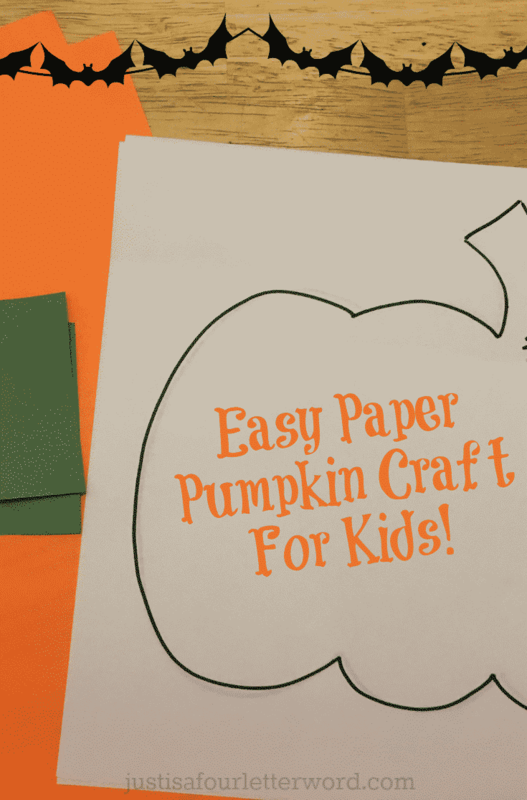 Using supplies you probably already have, set your kids loose with these paper pumpkin crafts! I recently found myself at home with two children for two weeks of fall break and no plans. I mean, we had a few plans but they were scattered throughout the break and because I believe in real breaks, I didn’t want to schedule their time off down to the minute. But that meant we had a lot of down time. A lot. And if I didn’t want them to spend it all on screens, I had to come up with something. And don’t worry, there were still plenty of screens. We decided to do lots of crafts over the time off and everyone loved it. My boys have always been hot and cold when it comes to crafts, so I really didn’t plan ahead at first. 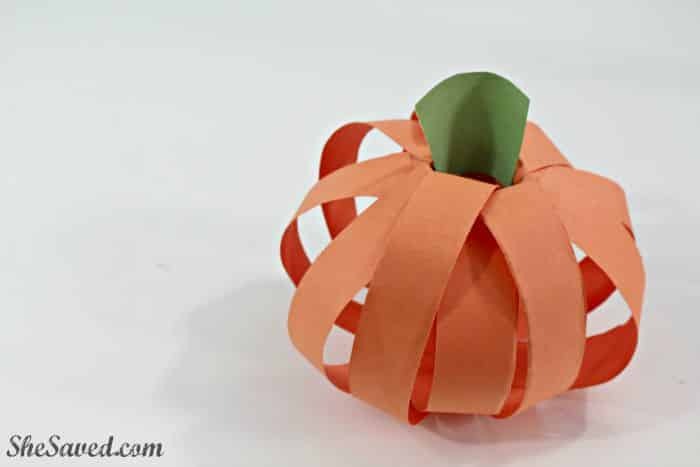 Our first craft of the week is what I like to call one of the easiest paper pumpkin crafts ever. 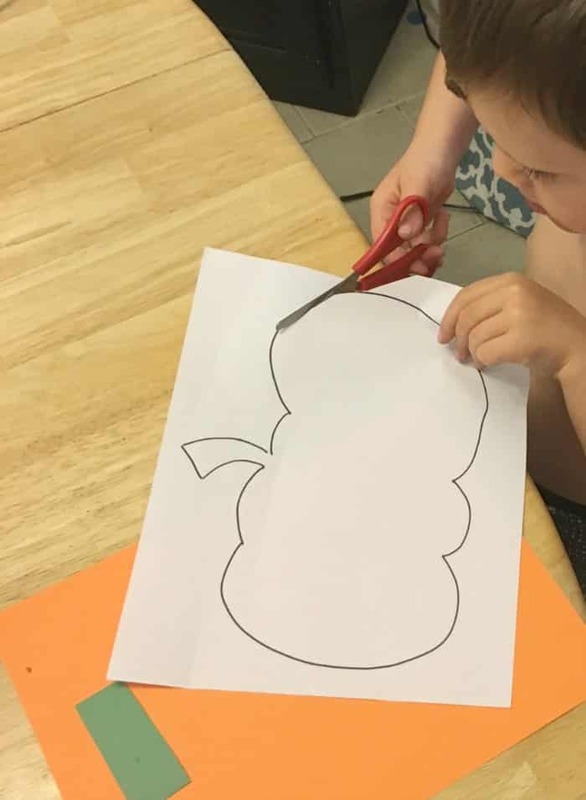 You can grab our free printable pumpkin at the link below and jump right in or keep reading for more paper pumpkin crafts! I drew a pumpkin on the white paper and let the boys go to town cutting it out. Cutting, as I have learned, is a great way to extend the length of a craft. 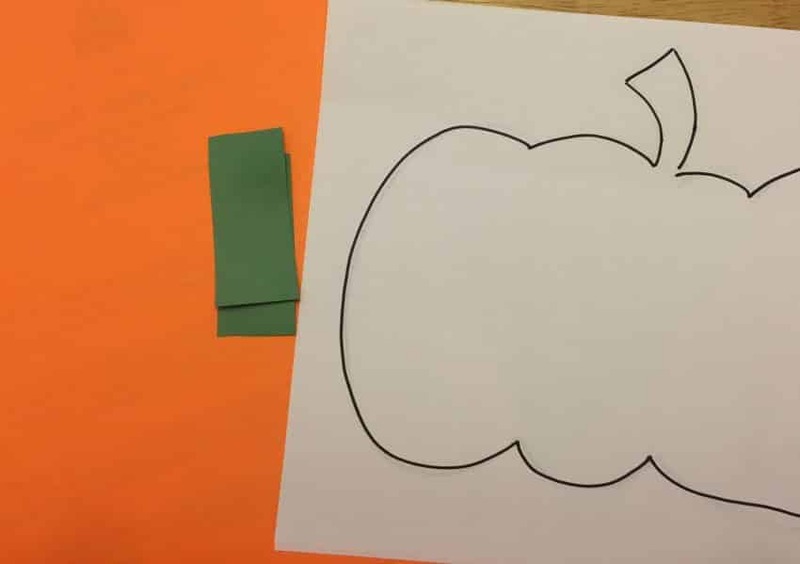 Most kids in kindergarten and up can cut their own shapes. Let them! You spend that time sipping coffee, do a little reading. No judgment here. Clink. 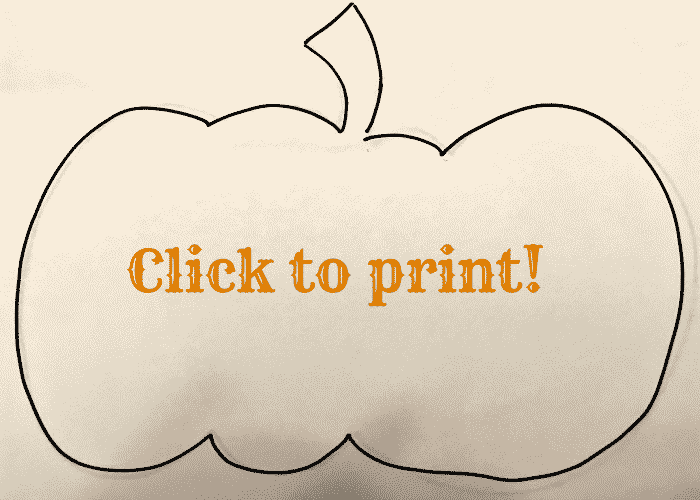 If you don’t want to draw your pumpkin, here print mine! More coffee for you. We had some school announcements that came home on orange paper. 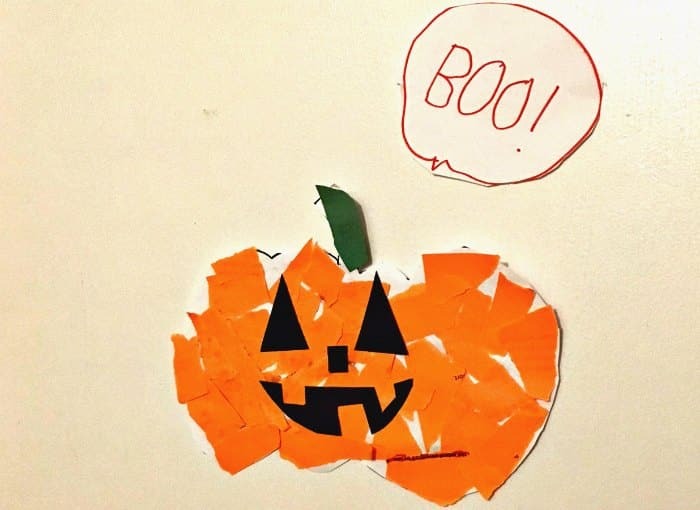 It was perfect for this so once the pumpkins were cut, I told the kids to rip that paper up! They were confused. It was fun. Then it was time to glue the pieces on and add the green stem with glue. Glue sticks! Who doesn’t love a glue stick? Seriously, even I wanted to do it. It’s the simple things. 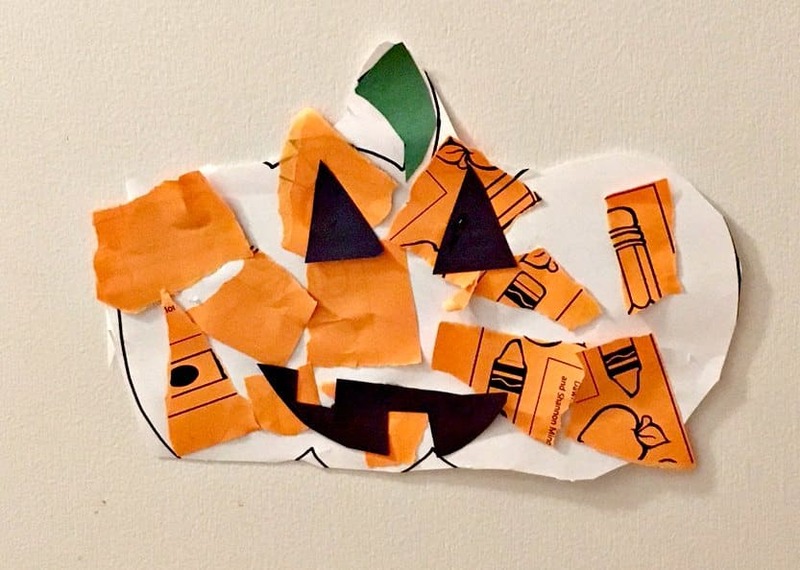 When the paper pumpkin crafts were done, Oscar had the great idea to make them jack-o-lanterns. Why not? I said, feeling like mom-of-the-year. Tape them to your doors? Yes! It was going to be a great fall break. We had breakfast, I drank coffee, the boys made a pumpkin craft and it was already 8:56am. Only 2 more weeks to go! 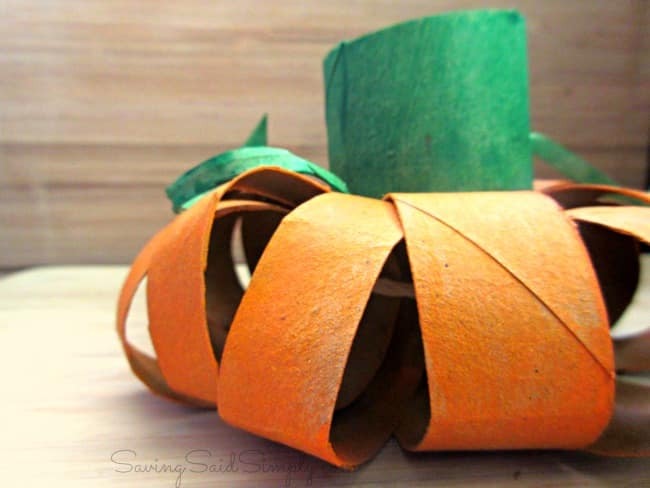 Make this fun fall pumpkin using toilet paper rolls, paint and string! This craft is a great way to keep kids busy and upcycle some craft items at the same time. Get the details at raisingwhasians.com. You’ll need a few intentional supplies for this craft. Older kids and tweens will get a kick out of seeing the finished product come together and it makes a great decoration! Just have some paper and a glue stick? Here’s another take on the paper pumpkin craft using mostly paper. 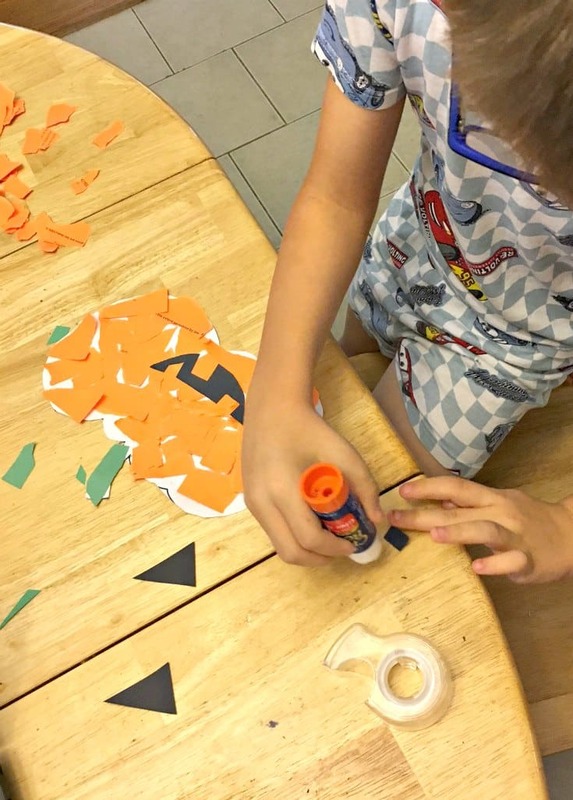 Great fall craft for little hands! Full instructions are on shesaved.com. Want to skip the cutting and use your Cricut? Grab these SVG files from Heyletsmakestuff.com to create 3D pumpkins in no time. 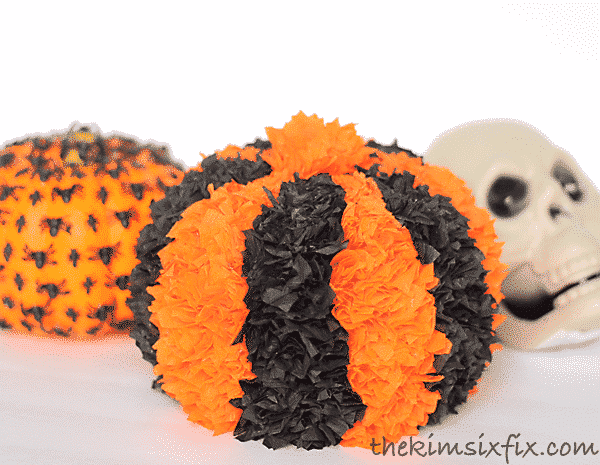 Looking for even more fall crafts? Check out this list. 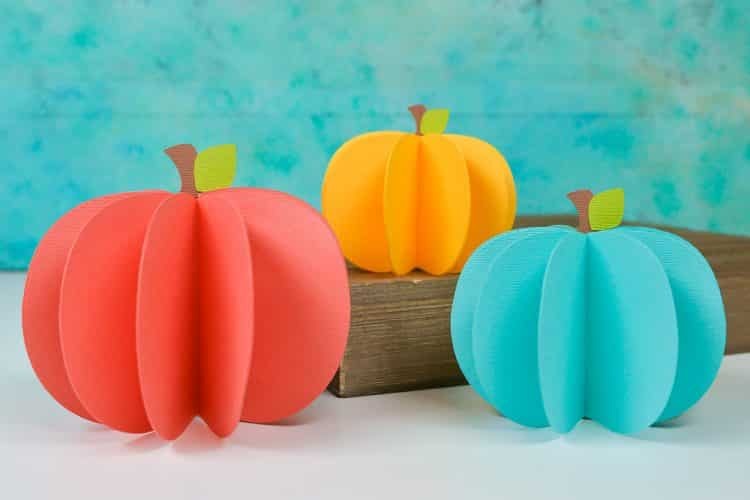 Not ready to make your paper pumpkin crafts just yet? Share this post or save for later! So adorable! And who doesn’t like an easy craft project?! ?